A mysterious whistle-blower is posting the industry's dirty laundry on Reddit. My job, technically speaking, is "Industry Spy." It's all just a typical day at the office. Right? 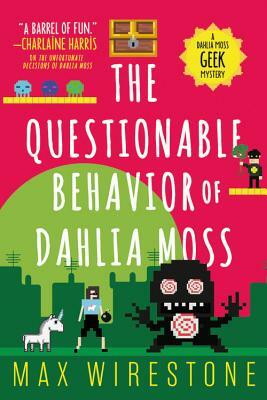 Dive into Dahlia Moss's brilliant, bonkers mystery and enjoy pure, geeky fun! Max Wirestone lives in Lawrence, Kansas with his husband, his son, a very old dog, and more books than a reasonable person should own. Find him @maxwires.